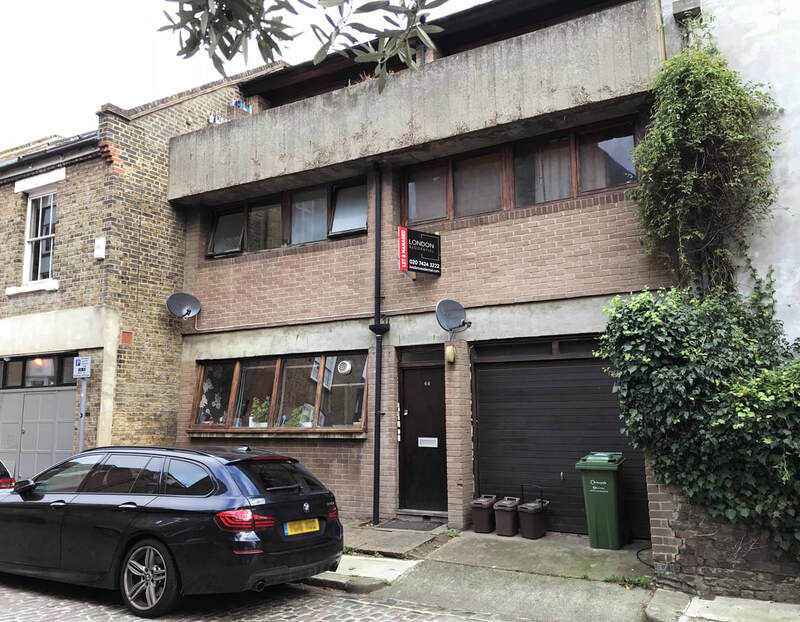 Notes: Small street in Camden featuring a couple of brutalist houses. No.46 was designed by Ludwik Chrzaszcz for himself in brick with concrete frame. Nos. 42&44 were designed by David Wild in bare concrete, and feature glass walled staircases and top floor studios.